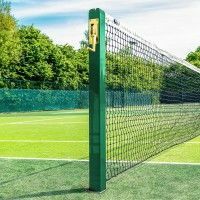 Expertly created using 2.5mm twisted HDPE net twine, this net guarantees longevity. 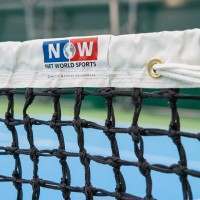 For increased strength the net has been UV treated & features machine-stitched rope edges. 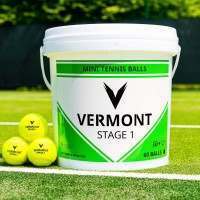 All our Vermont Tennis Nets offer a universal fit to standard tennis posts worldwide. 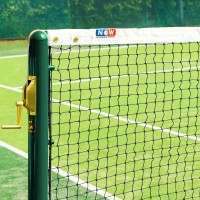 Choice of PVC coated steel tennis net headline wire cable available: Loop & Pin or Double Loop. 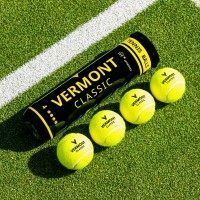 Quad-stitched using ultra-durable thread, the vinyl-coated polyester headband offers exceptional durability. Optic white, the headband dramatically reduces net distortion too. 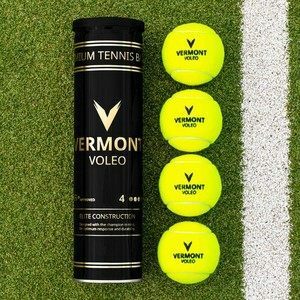 With the Vermont 2.5mm Tennis Net, professional quality with supreme durability is a guarantee, making it exceptional value for money. 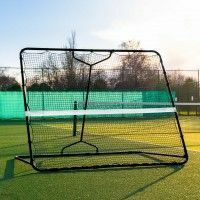 An excellent choice of tennis net for schools, colleges, home courts and tennis clubs, the 42ft doubles regulation features premium-grade materials which allow it to flourish in indoor and outdoor conditions. 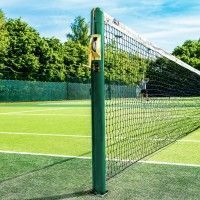 As well as a net, you’ll also receive a 6mm PVC coated steel headline wire cable (loop & pin or double loop), allowing you to secure the net to any standard tennis post with ease. 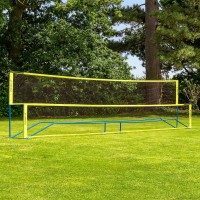 A professionally made tennis net created for all conditions, this net guarantees an exceptionally long lifespan. 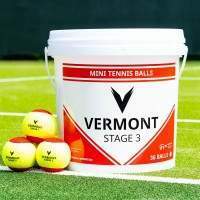 Manufactured using 2.5mm twisted HPDE net twine, the 45mm knotted mesh combined with the net’s UV treatment, gives it outstanding resistance towards consistent tennis activity. 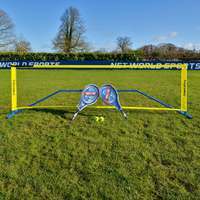 Completing the impressive net is the optic white, quad-stitched headband. 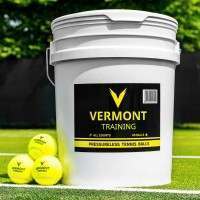 Created from highly-durable polyester, the ITF regulation headband features a quality vinyl coating for supreme resistance to ball impacts and weathering. PLEASE NOTE: This product is for the Vermont 2.5mm Tennis Net ONLY. 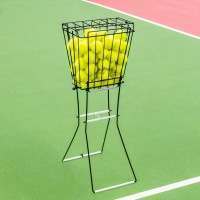 For centre straps, net measuring sticks and more, please see the essentials above.